If you’re lucky, you might be able to participate in one of Model Citizen’s once-a-month explorer series, which features a special dinner that showcases a different country or region in the world. 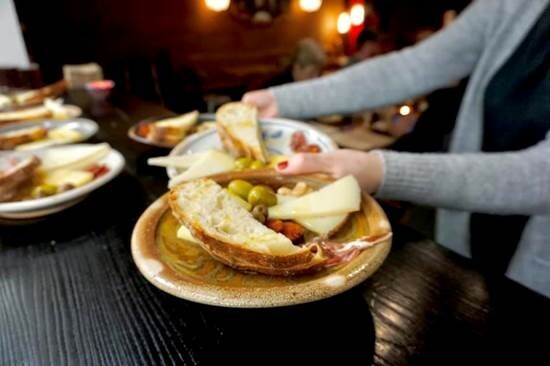 January’s explorer meal was a seven-course dinner honoring Spain, with matching beer for each course from Goat Ridge Brewery. has plenty in store for moms who need to get out of the house for a couple of days. To get in full relaxation mode, one of the first places you should stop is the spa. We all know that the dry winter weather has not been doing our skin any favors. But if you head to Rejuvenate Salon & Spa, you can treat yourself to a facial with Derma blading, perfect for exfoliating dry skin and refreshing your face. And at Fairwinds Salon & Day Spa, you can book a mani-pedi appointment to pamper your neglected hands and feet, followed by a massage at Lake Region Massage & Bodyworks to help ease the tension out of your shoulders and neck after spending the last few days listening to arguing kids. 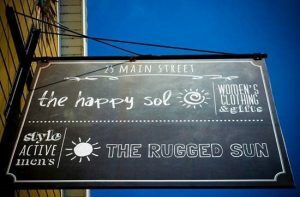 Located in downtown New London, the Happy Sol always has a cheerful, sunshiny atmosphere to combat the freezing temperatures outside. flavorful beers. And if you’re in the mood for some delicious soup, head over to Glacial Ridge Winery Friday nights for their Soup and Music night. Relax to some local music while sipping on a sweet and smooth Castle Red or a bright, citrus wine like Sippin From A Slipper. The winery is ideal for spending time with friends away without the kids. After a relaxing day followed by delicious food and/or local brews, you could book one of the many hotels in the area to get some beauty sleep. From the brand new GrandStay Hotel & Suites in Spicer to the Best Western Plus in Willmar, there are plenty of great (and affordable!) options to suit your hotel needs. After all, you’re going to need to be well-rested for the next day, where you should take on the mentality “shop till you drop.” Moms don’t get to go back-to-school shopping (unless they’re teachers), so now is your chance to get a few new items to spice up your wardrobe. Sift through the racks at Urban Escape, where the clothes feature a minimalist theme that already go with everything you already own. 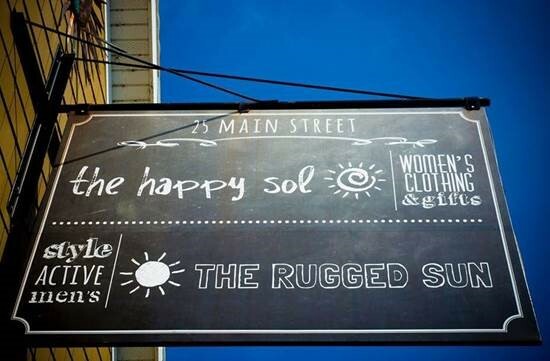 Try on specialty items at the Happy Sol, where the store’s owners will help you find the perfect clothes to take home (they’re both moms too, so they can definitely relate). 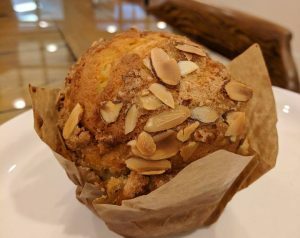 If cake sounds too sweet, the Middle Fork Cafe has a number of other food items that you can try. Maybe a muffin will do? Wherever you choose to shop, focus on finding some items that will spark joy in your life and give you some extra energy. We all know that you need all the energy you can get when you’re a mom. You can end your day of shopping with a slice of delicious cake at the Middle Fork Cafe, with locations in New London and Willmar. Their strawberry milkshake cake is mouth-watering, albeit sweet, and pairs well with black coffee. My personal favorite is always the Samoa Cake, modeled perfectly after their coveted Girl Scout cookies counterparts. After polishing off that last bit of frosting, you can finally head home feeling nourished, well-rested, and ready to be a 24/7 mom again thanks to a great getaway weekend in the Willmar Lakes Area.